Two instant downloads, both �Love Always Wins� and the title track that has USA Today raving �Michael W. Smith is shining brighter than ever,� are available now from iTunes, with additional preorder options available from Amazon Music and other digital providers internationally. Leading up to today�s preorder, Yahoo! 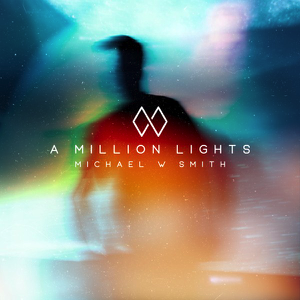 Music premiered �Love Always Wins,� as well as revealed the cover art for A Million Lights, at https://www.yahoo.com/entertainment/song-premiere-michael-w-smith-debuts-love-always-wins-145439946.html. �Love Always Wins� and �A Million Lights,� along with the rest of the album, was fueled by the divisive national sentiment of 2017 and the mean-spirited banter on social media. Last month, USA Today completed its first-ever �Life� section cover story on Michael and premiered his �A Million Lights� music video, which can also be seen now on Michael�s YouTube page.  Buy A Million Lights Now!